The University of Wisconsin-Stout football team wrapped up their season on Nov. 10 against UW-Oshkosh. As a result, the program said goodbye to their senior players. The Blue Devils finished the season 5-5 to remain at .500, but many of the players felt this was a bittersweet outcome for the football program. 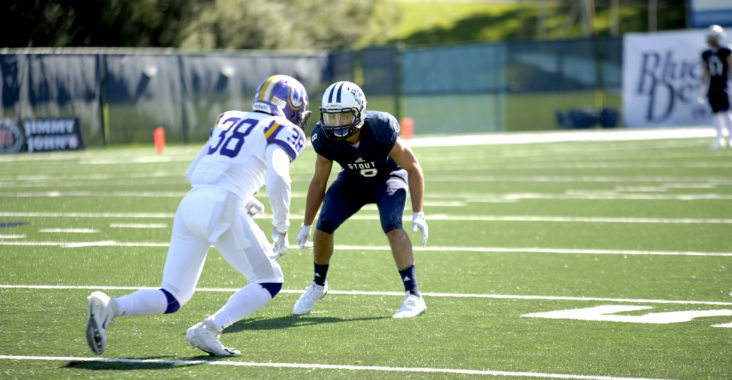 Like many of the athletic teams at Stout this year, the football team had many young players joining them this season, adding a new dynamic to the team. 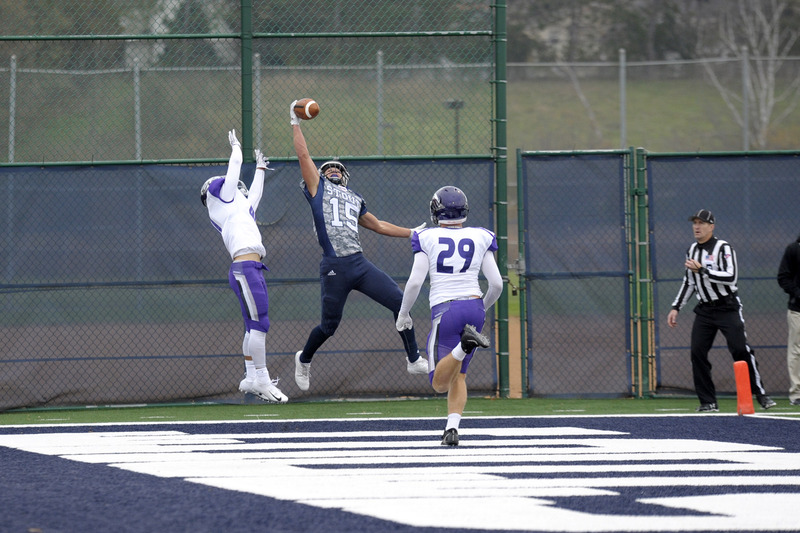 “We had a very young team this year and to get five wins, especially being in the most competitive conference in the country for Division 3 football is a great accomplishment and something that the program can continue to build on,” said Fanelle. One of those young players was Tyler Seymour, a freshman wide receiver from Minong, Wisc who felt that he learned a lot from watching how the older players perform. “Everything from how they carried themselves on and off the field. They made it a point to make sure we were all learning, either from what we did wrong or how to improve something we did right. Having the veterans and seniors to guide us was a big part of our success,” Seymour said. “One of my favorite personal accomplishments this season was that I lead the team in pass breakups. As a team, I think our best accomplishment was beating UW-Platteville at home on Senior Day,” said Fanelle. Fanelle had 11 pass break ups to end the season. Fanelle was exhilarated that he was the leader when it came to breaking up passes on defense. Seymour ended the season with a total of 445 yards.